The Coalition leadership team has more than 50 years’ experience in animal welfare. 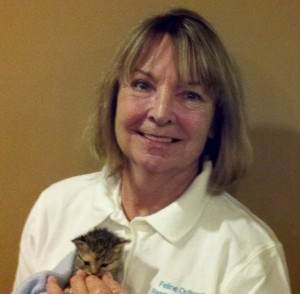 Our team has decades of hands-on experience as shelter employees, rescue volunteers and kitten foster parents, and we bring this expertise with us when we educate and train others on up-to-date, proven information on how to save kitten lives – a labor of love we have committed to for more than 10 years. Neonatal, sick and other at-risk kittens should be given a chance to grow and thrive. Our strong and well-researched educational programs save kitten lives and reduce euthanasia. Those on the front lines at animal shelters, rescues organizations and in the veterinary community work tirelessly to save lives, and we stand with them in their efforts. Rosemarie Crawford is a licensed veterinary technician who has worked in animal welfare for more than 15 years. She has experience in public and private shelters and in veterinary practices. As a medical staff member in a high-volume, open-access shelter in Illinois, Rosemarie worked closely with the shelter veterinarian to provide for the animals’ medical and surgical needs. She assisted in developing and implementing progressive, proactive protocols for the care and treatment of kittens in the shelter’s kitten nursery room as well as for those in foster care. Additionally, Rosemarie served in two shelters as the foster coordinator and understands the challenges of creating, expanding and maintaining a foster program as well as the rewards such a program can reap via the involvement of volunteers. During times of disaster, she serves as an emergency responder with several national organizations to provide rescue, shelter, veterinary care and transport for affected animals. 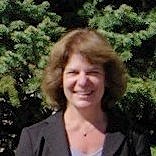 For many years, she also served as a volunteer instructor for Humane Society University, teaching extended workshops in the United States and Canada on Emergency Animal Sheltering, Disaster Animal Response and Animal First Aid. Prior to focusing her efforts on animal welfare, Rosemarie taught high school and college English for 10 years, and her passion for teaching comes through in the workshop presentations. Currently, she also works at a large, six-doctor veterinary practice in the greater Washington D.C. area and fosters neonatal, injured or debilitated kittens for several local shelters and rescue groups. Marnie has been fostering neonatal kittens for over a decade, specializing in critical-care neonates and high-risk nursing/expectant queens. She is the Volunteer Neonatal Care Coordinator at the Washington Humane Society (in Washington, D.C.), helping to advance the neonatal foster program and teaching monthly classes on neonatal care. Recent awards received by Marnie include the Outstanding Volunteer Award from The Virginia Federation of Humane Societies in 2016 and Volunteer of the Year from the Animal Welfare League of Arlington in 2015 (Arlington, VA). Marnie is a seasoned animal advocate who has previously worked for the ASPCA traveling across the country working with shelters as well as state and local governments to advance animal-welfare policy. She has also worked closely with the Humane Society of the United States and Fox Hollow Animal Project, one of the nation’s premiere spay/neuter programs. 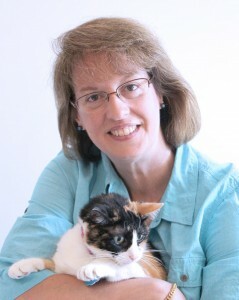 Marnie is a recognized expert on caring for at-risk kittens. She is also a Social Media Consultant at the Animal Welfare League of Arlington (Arlington, VA). Her advice and expertise is sought from shelters and rescues across the country. Aside from her work in animal advocacy, Marnie is the President and CEO of Rocky Mountain Capitol Consulting. She travels annually to developing countries assisting in international spay/neuter projects to help impact the lives of street animals in underserved areas. Marnie splits her time between Arlington, VA and Missoula, MT. After many years as a donor to various animal rescue groups, Laura decided in 2007 to become more active and volunteer at local Washington, D.C. animal shelters. Focusing on cats, she got ever more involved in local Washington, DC animal shelters and now fosters back-to-back litters of kittens for several of them. Laura joined the National Kitten Coalition in 2015 because, as a foster, she appreciated how little she knew about how to care for sick kittens, and respected – and craved – the expertise of the National Kitten Coalition founders after taking one of their all-day workshops. Laura contributes her organizational, data analysis and writing skills to the organization under the watchful eyes of her two rescue cats.